Dream catchers filter dreams, allowing only good dreams to pass through while bad dreams are caught in the net, beads, or charms until the first rays of sun struck them. The feathers send the good dreams to Dream catchers were mostly given to the children, which would hang above their beds. Since dream catchers are traditionally made of willow and sinew, they aren’t meant to last forever. They are intended to dry out and break down once the child enters the age of “wonderment”. The legend of the dream catcher began long ago, when the child of a Woodland chief fell ill. Unsettled by fever, the child was plagued with bad dreams and unable to sleep. In an attempt to heal him, the tribe’s Medicine Woman created a device that would “catch” these bad dreams. Forming a circle with a slender willow branch, she filled the center with sinew, using a pattern borrowed from our borther the Spider, who weaves a web. This dream catcher was then hung over the bed of the child. Soon the fever broke, and the child slept peacefully. It is said that at night, when dreams visit, they are caught in the dream catcher’s web, and only the good dreams are able to find their way to the dreamer, filtering down through the feather. When the warmth of the morning sun arrives, it buns away the bad dreams that have been caught. The good dreams, now knowing the path, visit again on other nights. 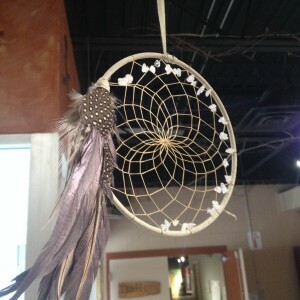 The Museum of Ontario Archaeology gift shop has numerous dream catchers of varying sizes and colours for sale. Prices range from $3 to $30. 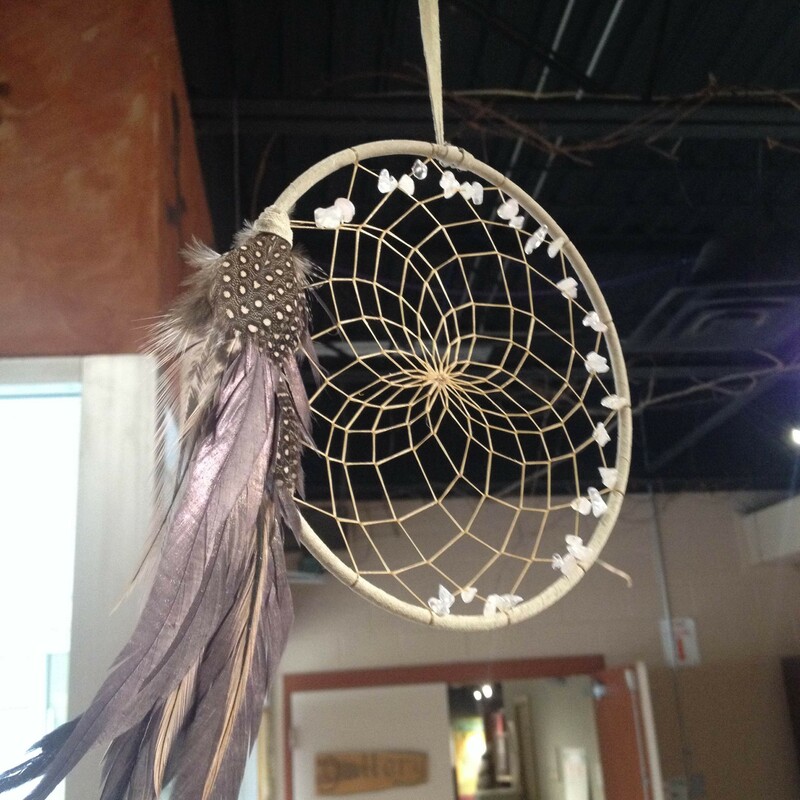 The majority of the dream catchers are locally made, unless otherwise stated. Oberholtzer, Cath. “Dream catchers: legend, lore and artifacts”. Firefly Books Ltd., New York. 2012.